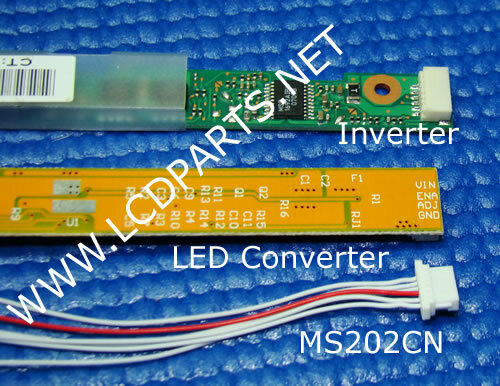 This section is to show you how to wire XB LED converter (XB Universal LED kit) to the existing Laptop inverter wire harness. Fuse=VIN. 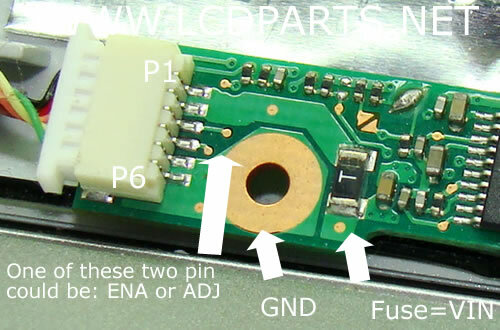 First look for SMD Fuse (Surface mount fuse). This fuse is a small and think component. 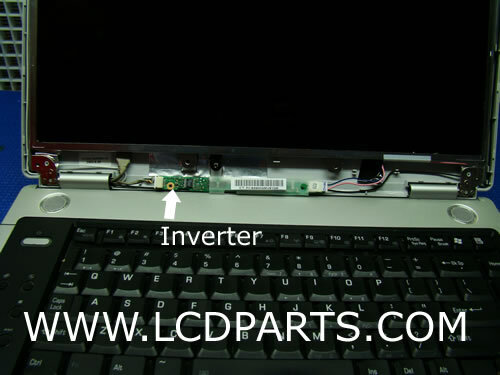 Some of inverter also has a print on PCB next (or at the bottom of PCB) to the fuse, such as F1 or F101. Second, look for a large solder pad or large cooper pad. These are the indications of power ground (GND). 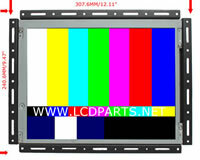 You can also confirm with a multi meter, set your meter on resistor range, connect one of test probe (It does matter black or red probe) to any metal part of Laptop screen, if the resistance is 0 ohm, then it is a GND Third, connect other pins that you are not sure to either ENA or ADJ. If the LED backlight does not light up when Laptop computer is on, then just reverse these twp pins. *Note: If you know how to use a multi meter to measure input voltage, It is much easier to identify these pin assignment. Please click here for details. 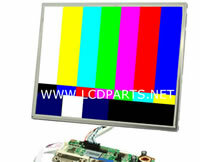 Connect XB LED kit to Laptop computer and turn it on. All LED should be light up. 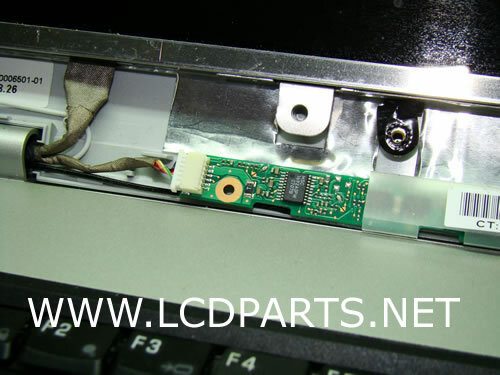 Now it is ready to install XB LED inside of Laptop screen.